Just as the name suggests, six month smiles give you straight teeth in just six months in the majority of cases! This revolutionary system straightens the front 6 to 9 teeth (the teeth that people see when you smile) using clear brackets and tooth coloured wires, meaning no unsightly traditional metal brackets. 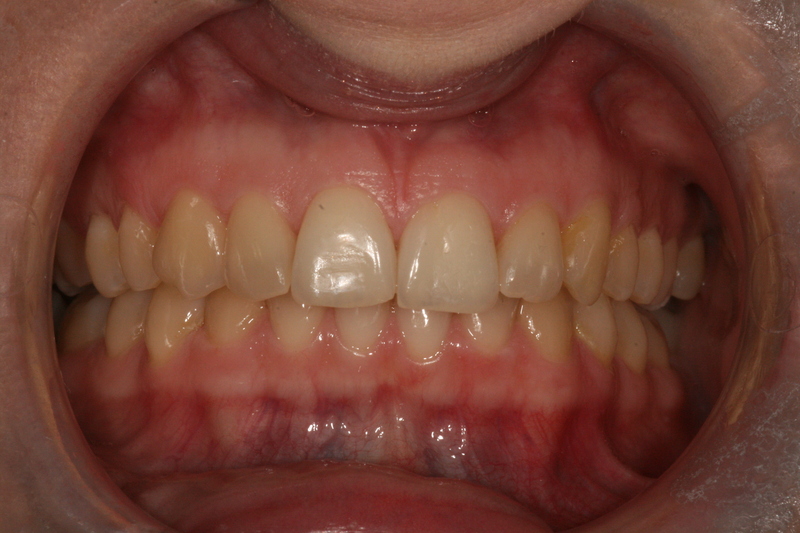 Conservative, predictable, and less invasive option to straighten teeth compared to other treatment options. Custom-made brackets allowing for optimal results. Typically less expensive compared to veneers and some other orthodontic appliances. The treatment involves an initial impression taken of your teeth which are sent off to the laboratory, where your brackets will be custom made to your teeth. 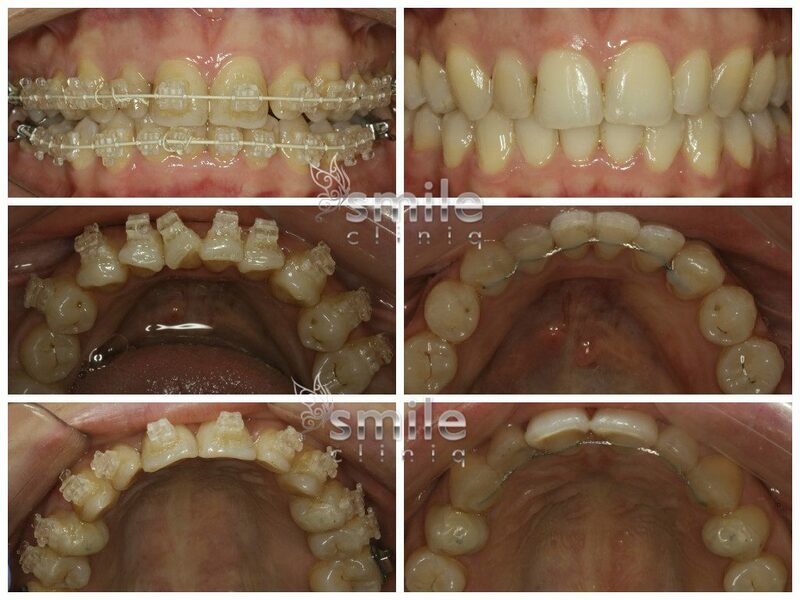 The 6 months smile brackets are then fitted to your teeth and an archwire is placed. You will be asked to return to the Smile Cliniq dentist in London every 4 weeks to tighten the wire and review your progress. Spaces may be created by polishing off a slight amount of enamel between the teeth, to help the teeth move into the arch. At the end of treatment, a retainer will be placed to keep your teeth in their new position. This can either be a removable retainer or a fixed wire retainer that is placed behind the teeth. It is important to wear a retainer once completing the treatment so that your new smile will last you forever! Six month smiles is a great way to get your teeth straightened in a short space of time. If you are interested in the six month smiles system and would like to find out more about it, why not book in for your FREE consultation with the London dentists at Smile Cliniq. 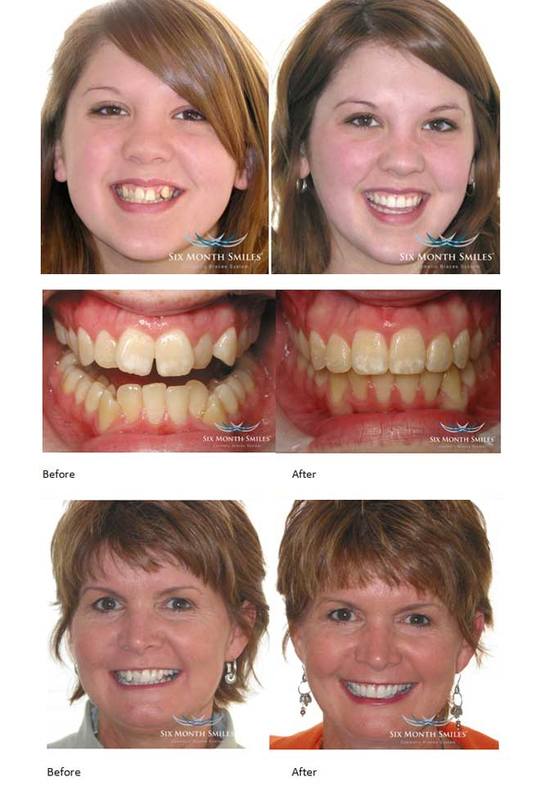 Six month smiles braces can take between 4-9 months, but generally are completed in six months. Is this the option for you? 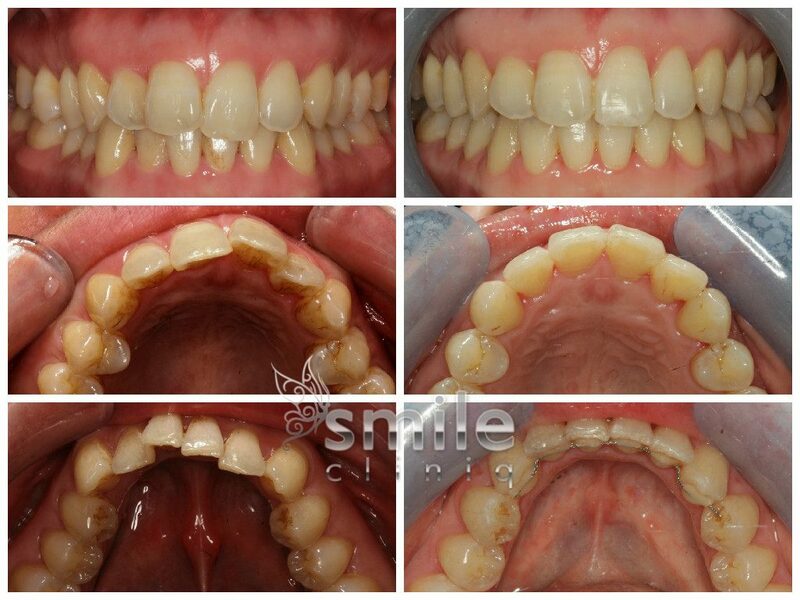 6monthsmiles is one of the most effective tools to correct crooked teeth and to perfect your smile. 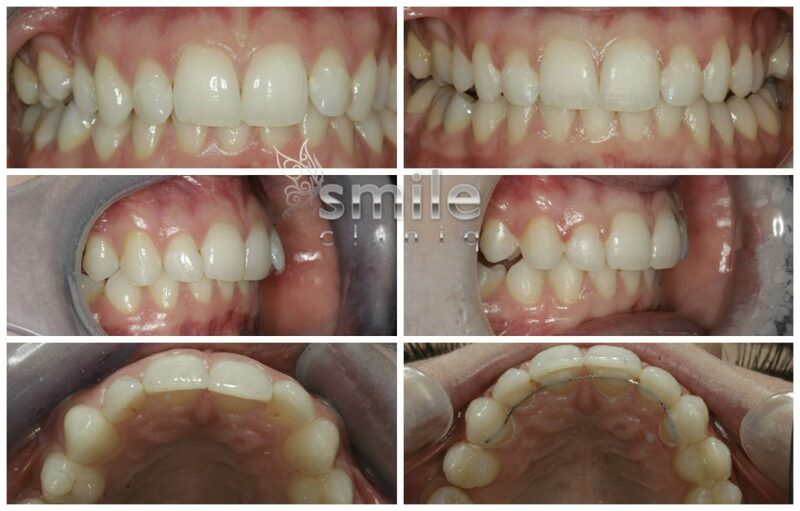 And better still 6monthsmiles achieves this within 6-9 months whereas traditional braces can take up to 2 years. 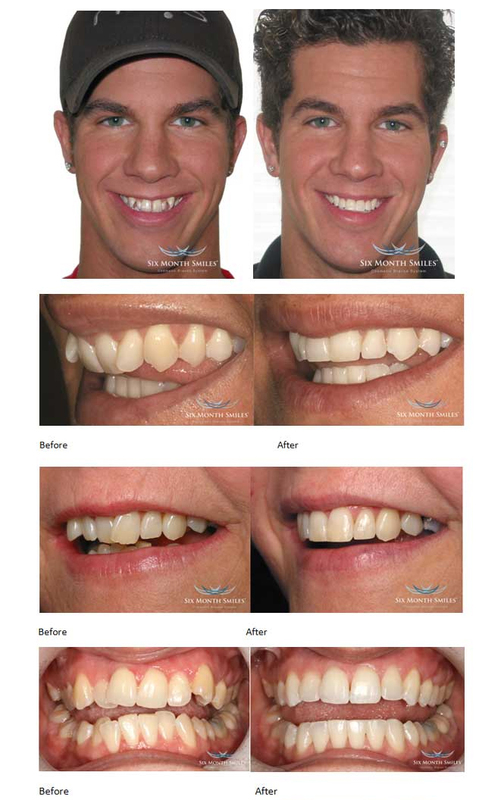 How does our cosmetic braces system work? 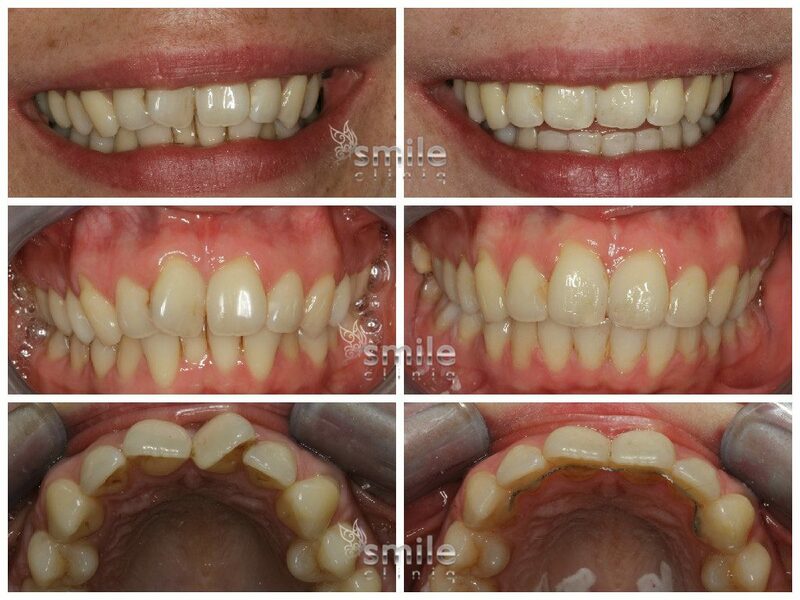 6 Month Smiles system is a patented system using clear brackets that are bonded to your teeth during treatment. A white nickel-titanium wire is then held in the brackets with white/clear elastics. 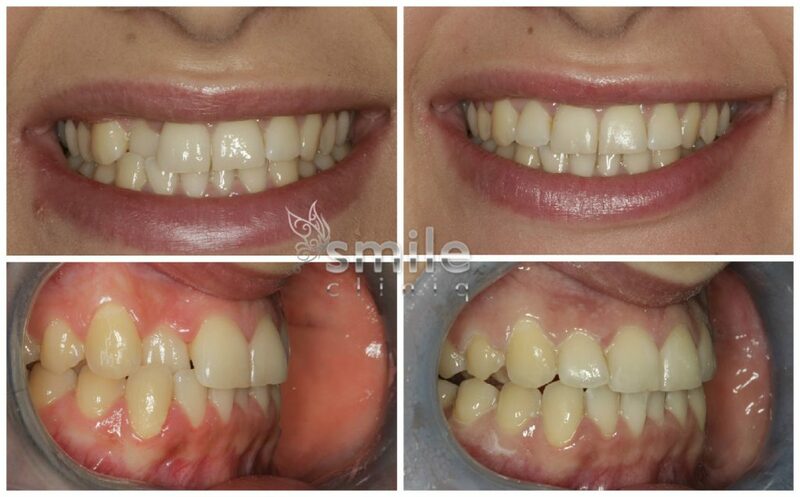 Can you tell that our patient below is wearing 6 month smiles? Even Holly Willoughby decided 6 month smiles was for her! Being one of the most efficient cosmetic fixed brace systems available on the market, teeth move quickly and safely. 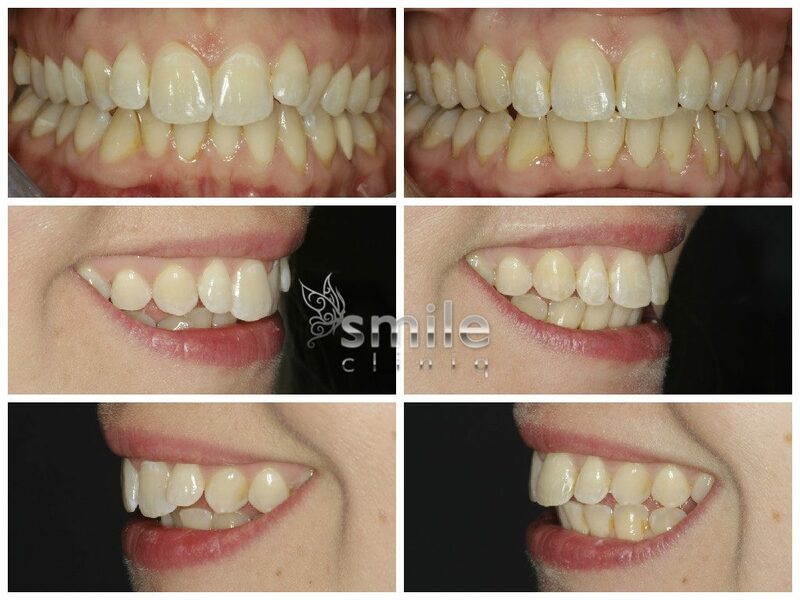 Once you have decided 6monthsmiles is the choice for you, within 2 weeks the brackets can be placed on your teeth and we can start the straightening process. Cleaning your teeth as best possible around the braces to maintain good oral health. To visit us once a month to make sure the wires are moving your teeth as effectively as possible, and if necessary we will change the wires and elastics. 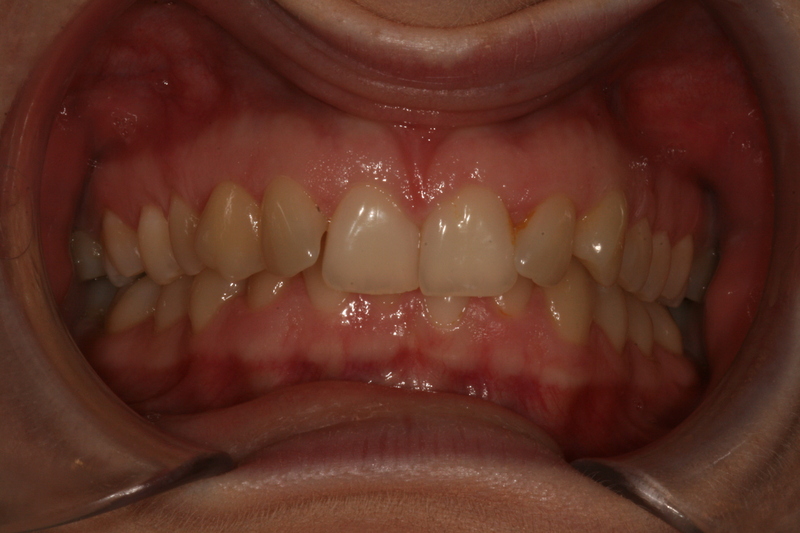 What happens at the end of my six month smile treatment? Once we have achieved our goals and your teeth are in the correct places, the brackets and wires are removed and the teeth are complimentary polished to remove any residual staining which can occur during treatment. We will then proceed to place a retainer of your choice to ensure your smile stays perfect for the future. 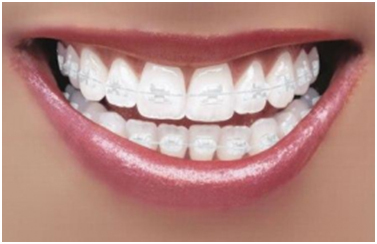 Finance options are available for these braces from 0% interest on our 6month or 12 month plans. What if you do not fit the criteria for finance? Any braces, aligners and other oral devices takes time to get used to. Initially, it feels uncomfortable, with hyper- or hypo- salivation common, and a small lisp can be present, this usually disappears after a few days. The biggest risks with any orthodontic treatment are decay and gum disease developing. As when wearing any oral device, dentures, braces, aligners, retainers, it is more difficult to clean the teeth and gums. This can cause decay, gum disease, so it is imperative to maintain excellent oral hygiene. It is often recommended to attend more regularly for hygiene appointments, use a fluoride mouthwash and spend extra time cleaning the teeth during orthodontic treatment. Please see here for further information on maintaining good oral hygiene. Small interdental brushes are particularly good for cleaning between the braces and teeth. 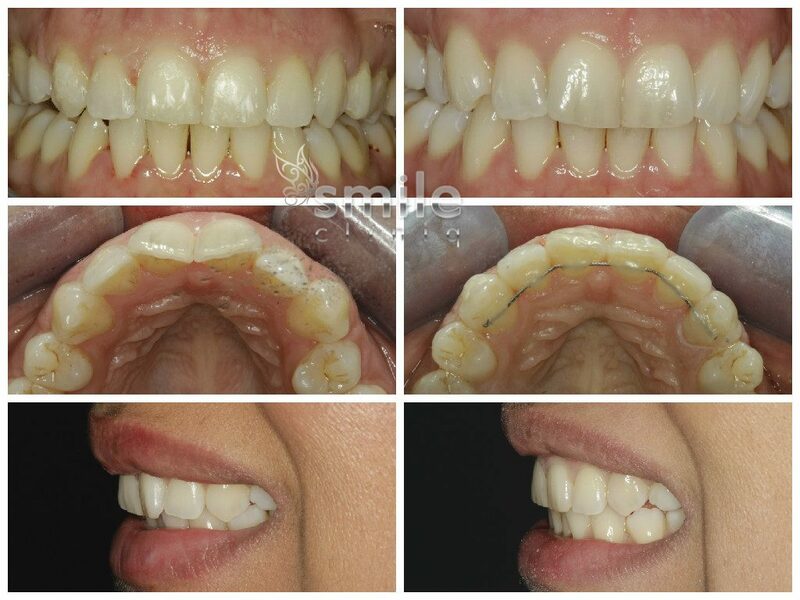 Retention: After treatment is completed we normally place removable (similar to a clear aligners, but non pressurised) or fixed retainers (thin wire bonded to back of teeth) to hold them in their new position. Over time these can wear down or de-bond and they may need replacing, extra fees will be due when and if they need replacing.